Michael Cohen’s closed-door testimony before the Senate intelligence committee has been postponed “due to post-surgery medical needs,” his attorney said on Monday. Cohen, President Donald Trump’s former personal lawyer, is under subpoena from the committee and was scheduled to talk to the panel on Tuesday. Cohen’s attorney, Lanny Davis, said in a statement that the interview had been postponed for medical reasons. 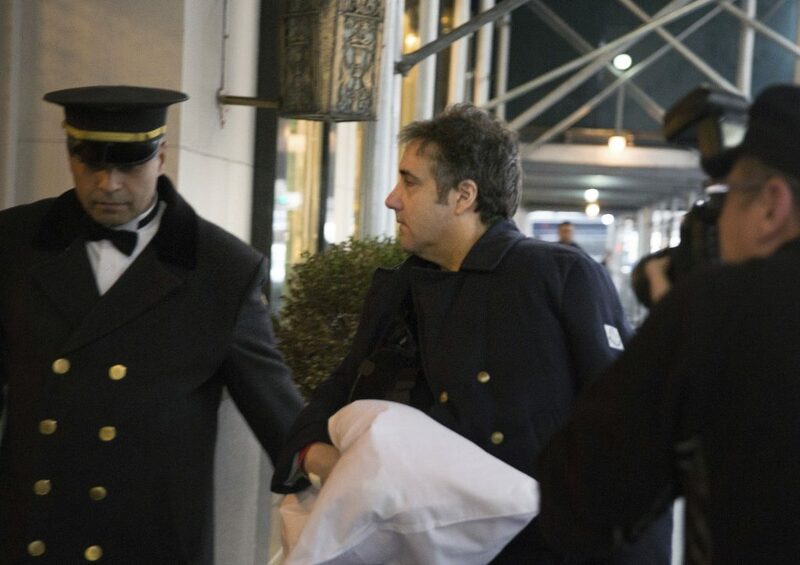 Cohen was recently seen with his arm in a sling. Davis said last month that he had undergone minor shoulder surgery. Cohen will now talk to the House intelligence panel on Feb. 28. It is unclear if he has scheduled a new date to speak to the Senate investigators, who subpoenaed him to appear. Aides to Senate Intelligence Committee Chairman Richard Burr (R-N.C.) and the top Democrat on the panel, Virginia Sen. Mark Warner, declined to comment. Cohen talked to both committees in 2017 and has since pleaded guilty for lying to them about his role in a Trump business proposal in Moscow. Cohen acknowledged that he misled lawmakers by saying he had abandoned the project in January 2016 when he continued pursuing it for months after that. He’s set to begin a three-year prison sentence in March. He has also pleaded guilty to campaign finance violations for his involvement in hush payments. Trump has denied the allegations.